Stage one of the project took place in April 2017. Image: courtesy of Office of the President, the Republic of Ghana. The first stage of the 400MW Bridge power project will be installed with five GE TM2500+ gas turbines. Image: courtesy of GE. Stage two of the project will add 206MW of capacity. Image: courtesy of GE. Bridge power project is a 400MW liquefied petroleum gas (LPG) fuelled combined-cycle power plant being developed in Tema, Ghana. The project is the first of its kind to be undertaken in Africa and the biggest of its kind in the world. The $953m power plant is being built in two phases with the first stage having a capacity of 194MW and the second having a capacity of 206MW. Early Power Limited, a consortium of Endeavor Energy, Sage Petroleum Limited and GE, is developing the project. The company will supply the electricity generated by the plant to the Electricity Corporation of Ghana (ECG) under a 20-year power purchase agreement that includes a five-year option. Ground-breaking ceremony for the first stage of the project was held in April, while the stage one construction is scheduled to be completed towards the end of this year. Stage two is expected to become operational in December 2018. Designed to operate for 25 years, the Bridge power plant will be a mix of both open and combined-cycle configuration. Stage one of the project has been subdivided into 1a and 1b with capacities of 142.5MW and 51.5MW respectively. Stage 1a will be an open cycle configuration that is installed with five GE TM2500+ generator sets, including five LM 2500 gas turbines. Stage 1b will comprise one GE steam turbine generator to enable combined-cycle operation. Additionally, five once-through steam generators, one air-cool condenser, on-site LPG storage and transportation pipeline and other balance of plant equipment, will be added during the stage. Stage two of the project has also been subdivided into 2a and 2b, with capacities of 160MW and 46MW respectively. 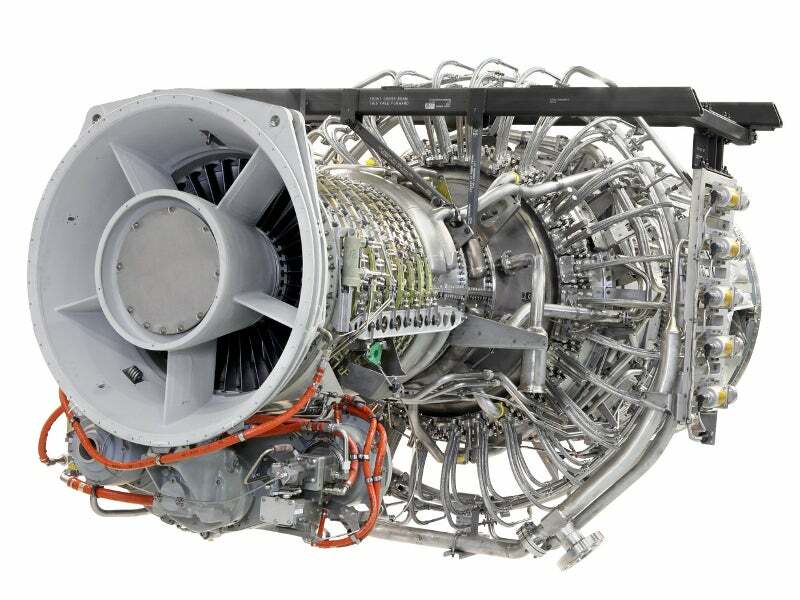 Stage 2a will include the installation of four GE LM 6000 PC Sprint gas turbines in open cycle configuration, while 2b will add one GE steam turbine generator to enable combined-cycle operation. Stage 2b will also add four heat recovery steam generators, one air-cool condenser and other balance of plant equipment. A 9.4km-long LPG pipeline with a diameter of 12in will be built from the TEMA jetty to the Tema oil refinery. The pipeline will enable LPG to be transferred to a new purpose-built storage system at the refinery and will ensure there is LPG supply to the power plant throughout the year. A 1.1km-long water pipeline, raw and demineralised water storage tanks, diesel tanks with capacity of 30m³, main stacks, a demineralisation plant, and administration and warehouse facilities will also be part of the plant. The project will use imported LPG as the primary fuel, and diesel as the secondary fuel during the first five years of operation. Natural gas is expected to become available to serve as the primary fuel, and LPG will become the secondary fuel later. Stage one is expected to use 771t of LPG a day, while stage two will use 1,679t a day. Stage one will produce electricity at 11kV, which will be converted into 33kV using three step-up transformers, and directly supplied to the ECG’s distribution network through underground cables. Electricity generated from stage two will be similarly stepped-up and sent to a new 161kV switchyard and breaker circuit. The switchyard will distribute the electricity generated through overhead lines. Early Power worked with a number of companies for the development of the project, including WSP, Jacobs Consultancy and Associated Consultants, Clifford Chance, BMT, Kina Advisory, and Aurecon. The Bridge power project will help make Ghana self-sufficient in electricity by meeting both its near-term and long-term energy needs. An estimated 62% of the electricity demand in the country is domestic, while the remaining is commercial and industrial. The country’s economy has grown at a rate of 7% a year over the last 16 years, resulting in increasing demand for electricity. Existing facilities are able to supply electricity to 71% of the population. Ghana is projected to require another 2,000MW of electricity in the next five years. The project will supply 17% of the electricity needed by Ghana and also help in the growth of the country’s economy. The LPG infrastructure developed by the project can be used for other markets, diversifying the country’s energy mix. METKA is a leading international contractor of fully integrated turn-key power generation projects with complete engineering, procurement and construction (EPC) scope. BEST TRANSFORMER (BALIKESIR ELECTROMECHANICAL INDUSTRIAL PLANTS CORPORATION) is a manufacturer of high-quality and reliable products in the areas of distribution and power transformers, as well as tanks. Gold Engineering, founded in 1996 and based in Hamburg, Germany, specialises in spare part supply for diesel and gas engines and is well known for its high-quality spares and personal supervision of worldwide projects. MCO-Team believes there is a lot to improve in the field of air-coolers and condensers in terms of debottlenecking and cleaning. Performance improvement is what we do.